Mauricio Pochettino admits Tottenham's fringe players put their hands up for a more regular starting spot after their 3-0 thumping of Apoel Nicosia. Fernando Llorente, Son Heung-min and Georges-Kevin Nkoudou were all on target at Wembley as Spurs rounded off their superb group stage of the Champions League. Pochettino's men, who finish first in Group H, will now await Monday's draw, when they could face Bayern Munich, Juventus, Basel, Shakhtar Donetsk, Sevilla or Porto. Before then, however, Tottenham host Stoke on Saturday and Pochettino said some of his back-up players had taken their chance to impress. 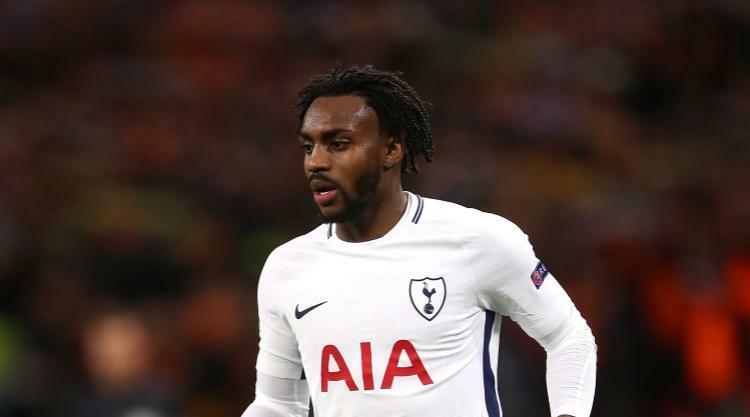 Llorente and Nkoudou both capped encouraging displays with their first Spurs goals while Son sparkled again, along with full-backs Danny Rose and Serge Aurier. "I'm very happy, for different players had a different opportunity to play and show their quality," Pochettino said. "They will add quality and put pressure on the players in the first 11. "To have more players with the confidence to compete for a place is important and will help the team a lot. "Now we need to be focused on winning in the Premier League again. But this season I think has been a massive step up for us." Llorente, the Â£14million summer signing from Swansea, had failed to hit the net in his previous 16 appearances for his new club. But the former Juventus striker, standing in for Harry Kane, showed the sort of sharpness to suggest he could yet prove a valuable alternative up front. "It's important for him," admitted Spurs boss Pochettino. "When you are a striker you need to feel the net. Of course players need time to adapt, when you arrive at a new team with no pre-season you need time to find your best level. "It's difficult to play 20 or 30 minutes, it's important for him to feel he can cope for 90 minutes. "He is a player who is going to help the team a lot. He has been helping a lot but now with more confidence and belief he is going to help more." Defeat meant Apoel missed out on a place in the Europa League, but coach Giorgos Donis said: "It was a fantastic experience, this trip was wonderful. "You see a different level and you see your place in that. Our fans were amazing, we didn't give them the result they wanted but it was magical to see them here."